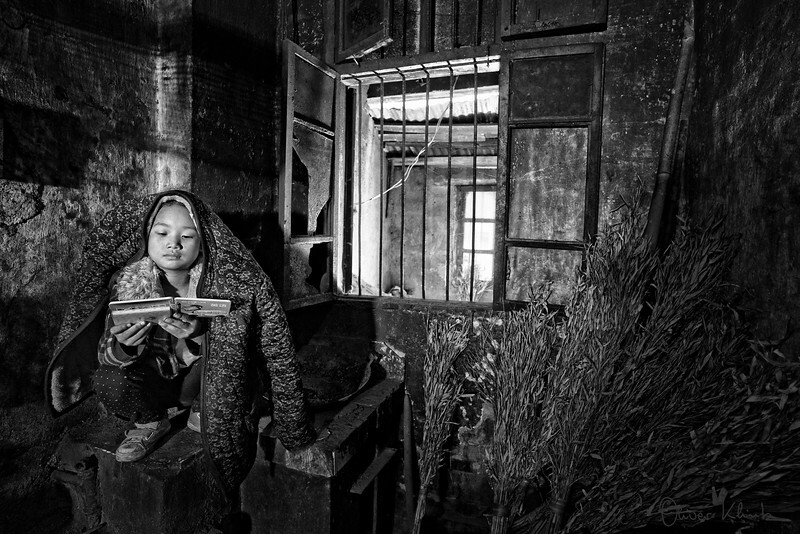 Lighting is not a given in Yi homes, but this young girl is eager to learn. Education was quite limited in the old days. Since the late 1950s, the autonomous prefecture began setting up middle schools, secondary technical schools and schools for training ethnic teachers. A new generation of Yi intellectuals with socialist consciousness is coming to the fore, and many Yi cadres hold leading positions at all levels of government in the prefecture. This young girl aspires to become a teacher.